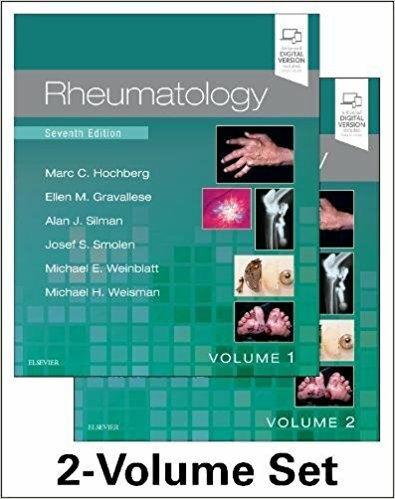 Thoroughly revised and updated, the 7th Edition of Rheumatology remains a leading text in this fast-changing field, keeping you abreast of recent advances in medications, therapies, clinical trials, and much more. Dr. Mark Hochberg and his team of expert authors and editors cover everything you need to know — from basic scientific principles to practical clinical management strategies, all in a user-friendly, accessible manner. Provides access to quick, concise videos depicting musculoskeletal ultrasound including anisotropy, “comet tail” needle artifact, rheumatoid arthritis synovitis, acute gout, and more. Uses a consistent, logical, reader-friendly format with templated content and large-scale images for efficient visual reference. 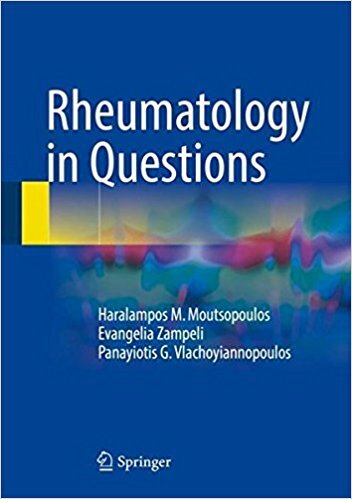 Features 14 completely new chapters covering biomedical and translational science, disease and outcome assessment, including new imaging modalities and early emerging disease, clinical therapeutics, and patient management and rehabilitation. 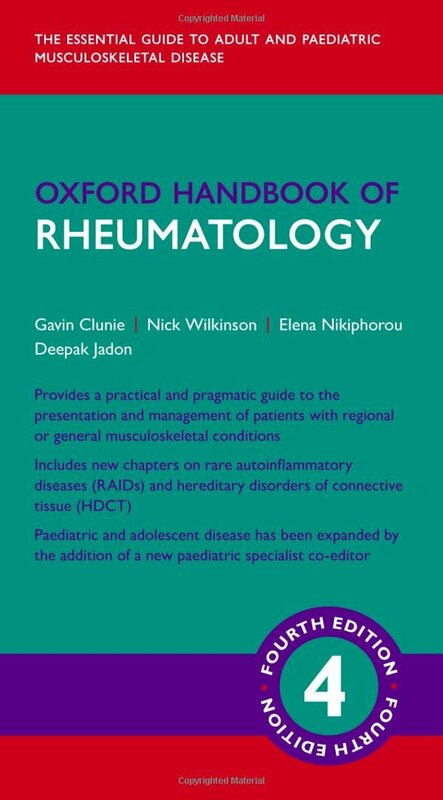 Includes updated content on the latest diagnostic perspectives and approaches to therapy including tapering down of treatment, pulmonary hypertension and scleroderma, psoriatic arthritis, and the latest oral anticoagulants. 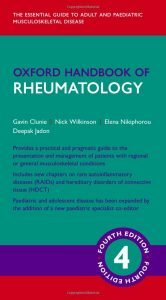 Covers hot topics such as pathogenesis and pathophysiology of axial spondyloarthritis, DXA and measurement of bone, infectious arthritis, and more. 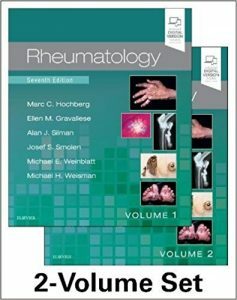 Shares the knowledge and expertise of internationally recognized rheumatoid arthritis expert and new editor, Dr. Ellen Gravallese. 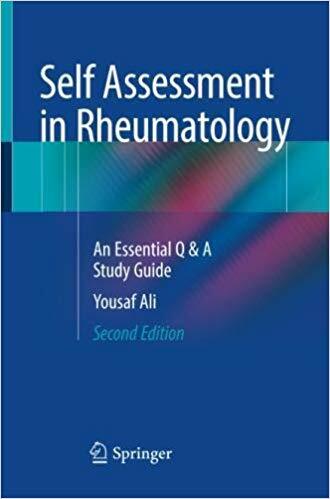 This book covers all fields in rheumatology and aims to help readers comprehend, familiarize and evaluate their knowledge of the subject area. 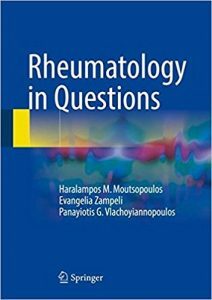 It contains short questions and concise answers on definitions, pathogenetic aspects, clinical and laboratory manifestations, differential diagnosis and the management of all rheumatic diseases. 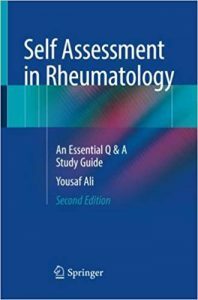 The book also provides questions and answers on major aspects of basic immunology, valuable for understanding underlying immunological mechanisms of autoimmune rheumatic diseases. Illustrations and images help present information in a clear and schematic way.